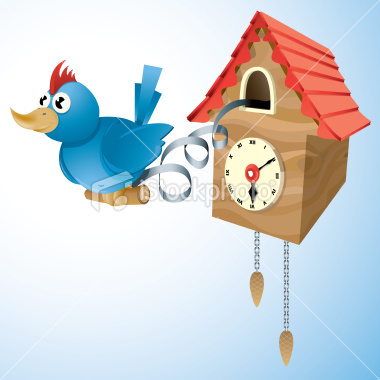 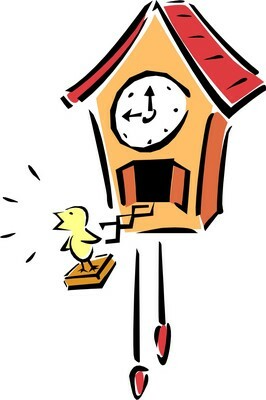 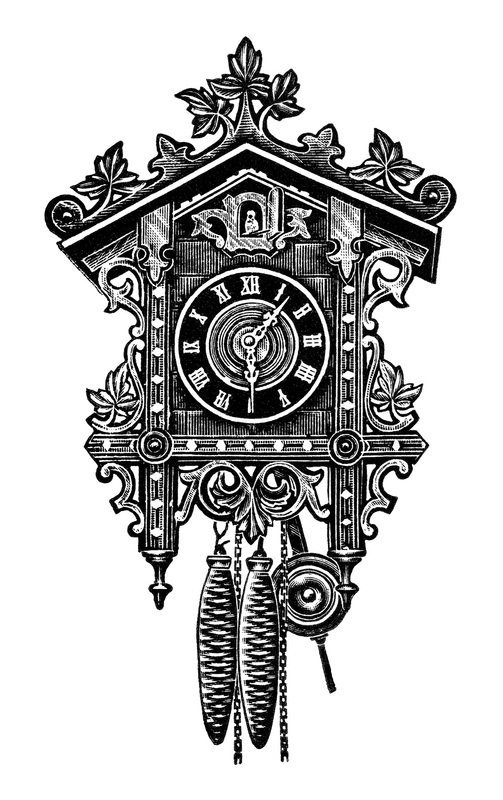 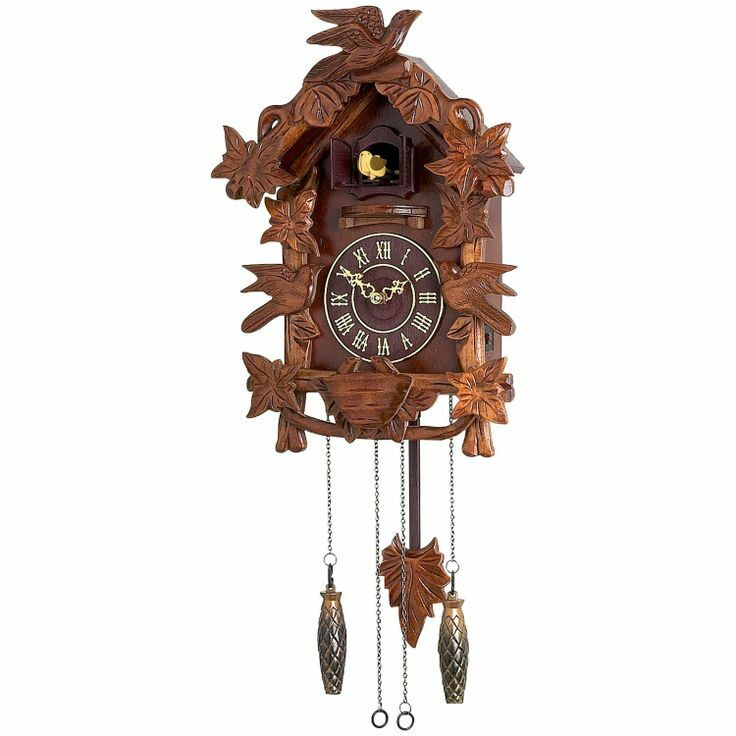 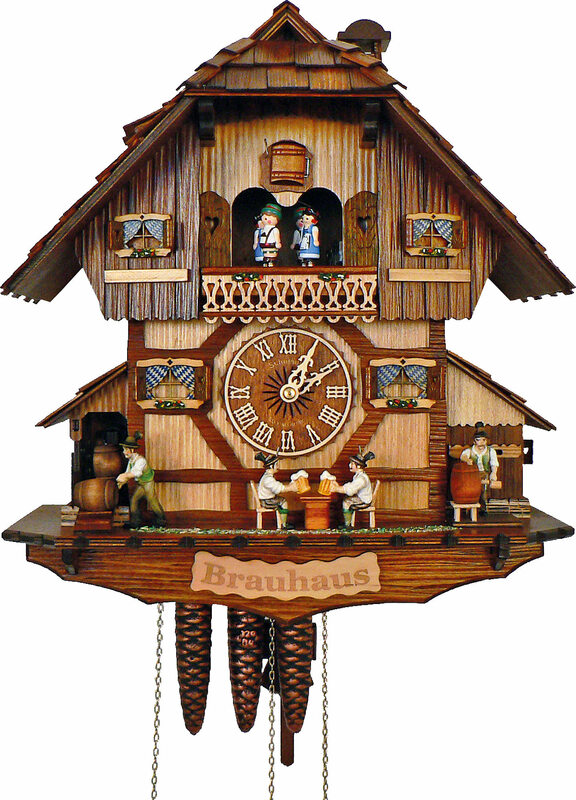 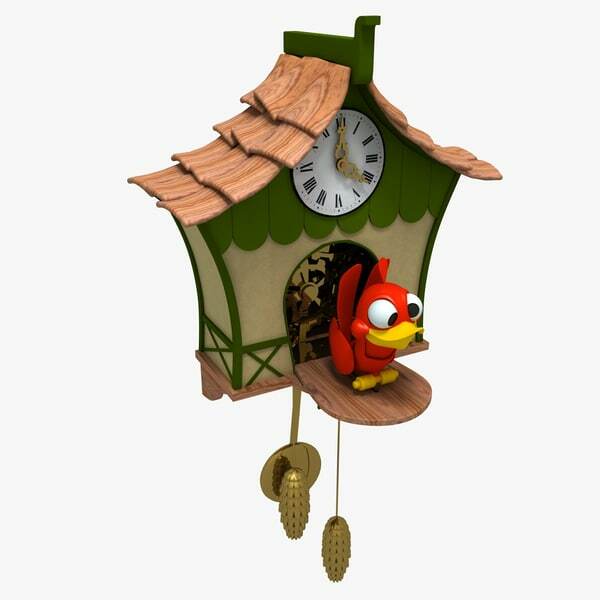 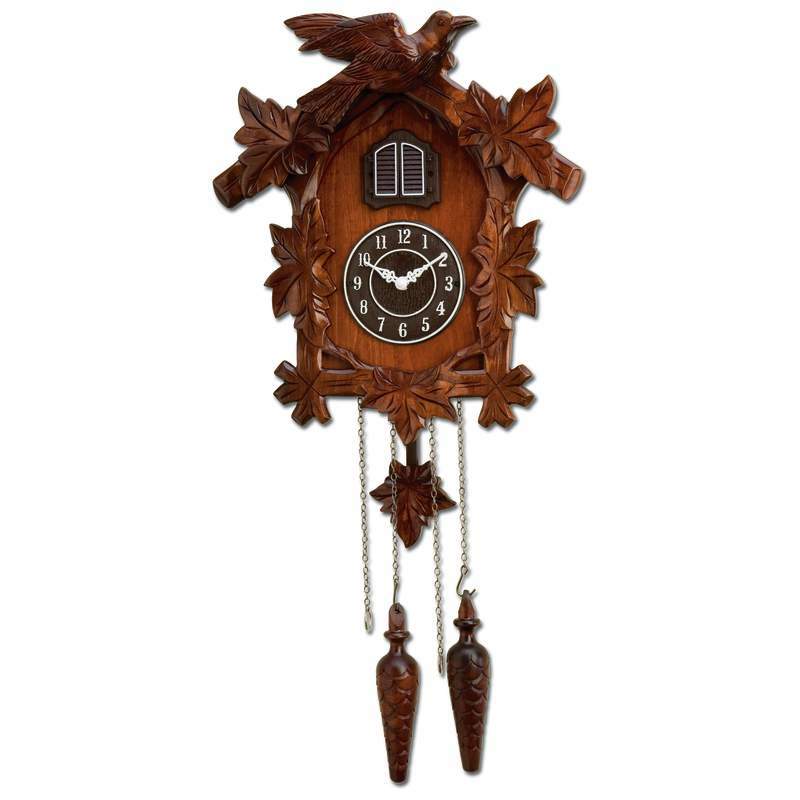 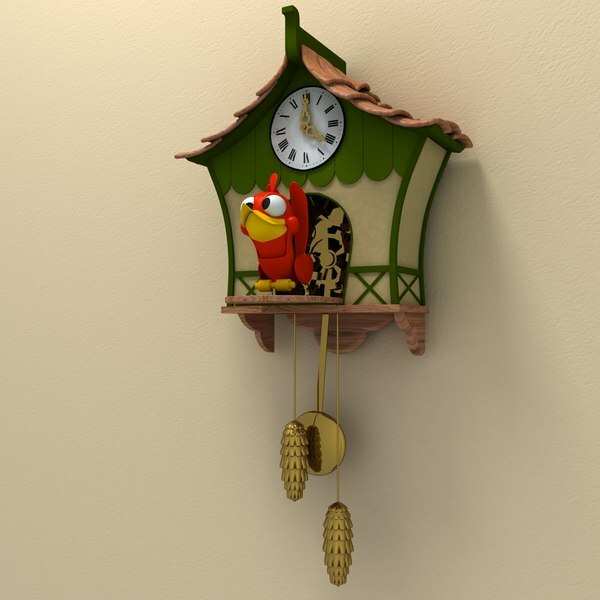 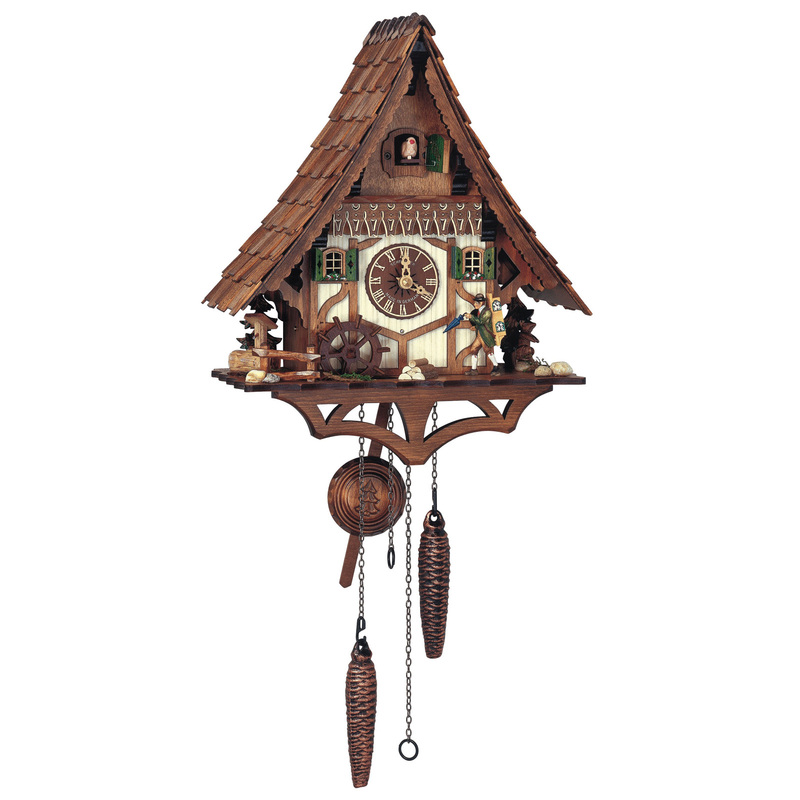 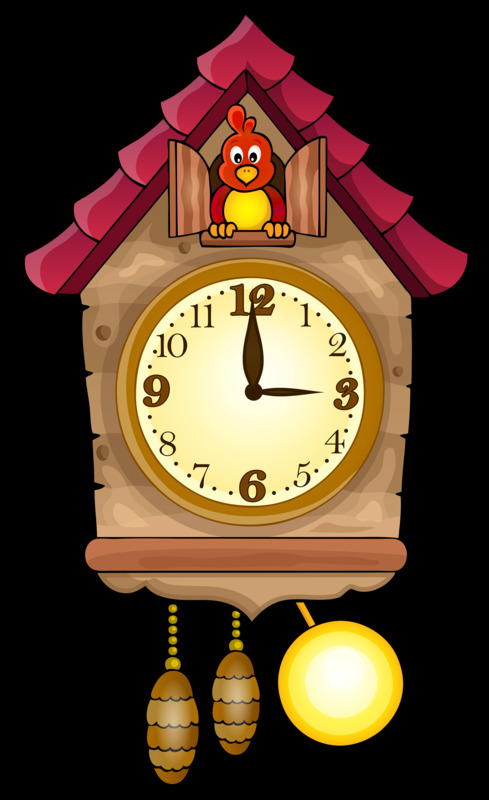 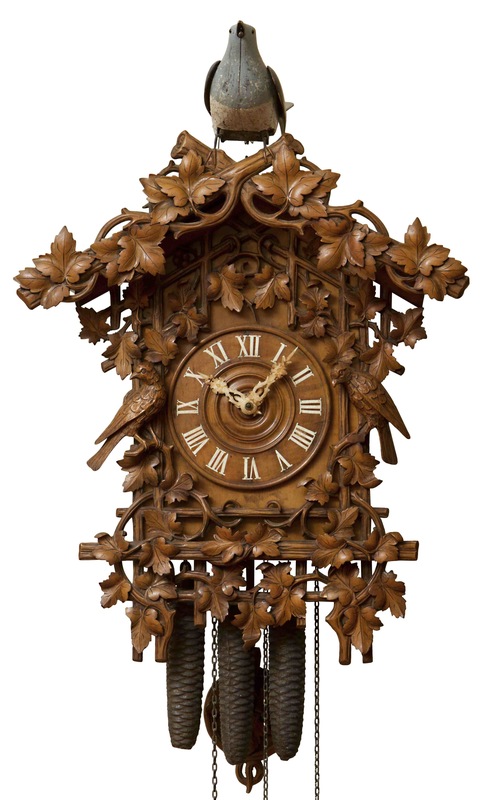 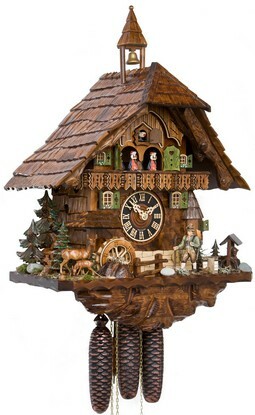 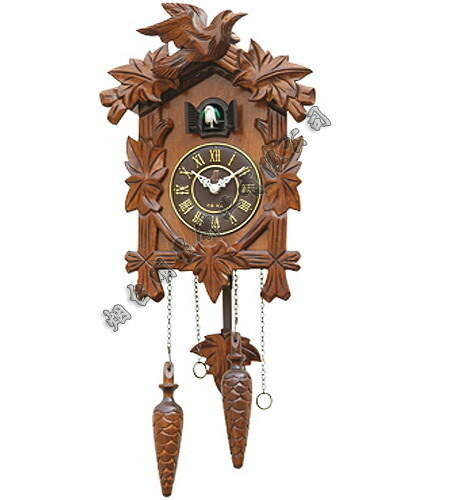 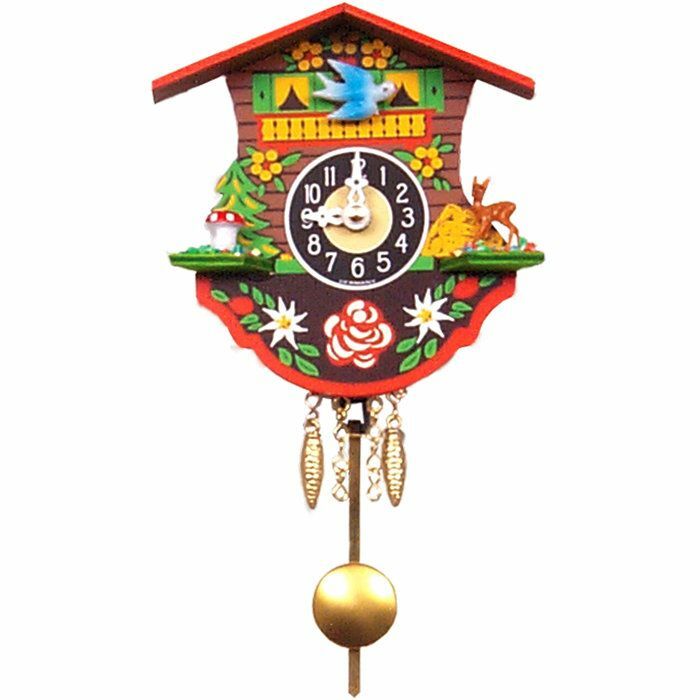 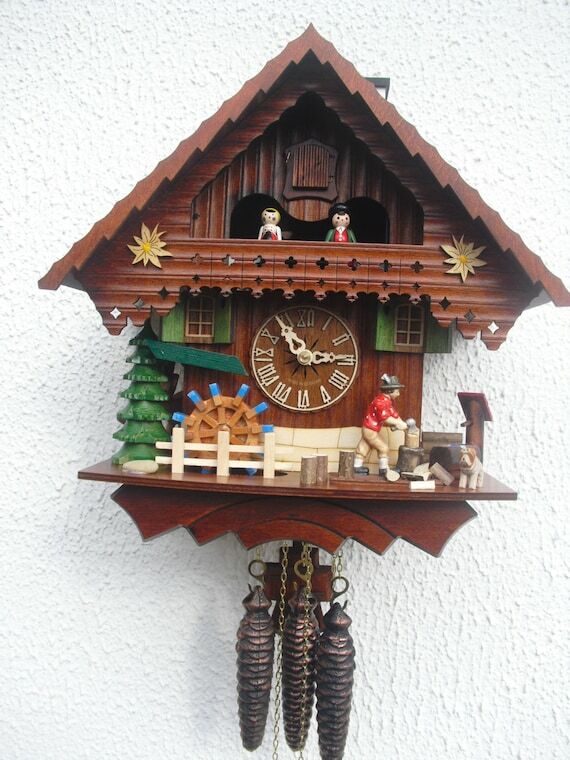 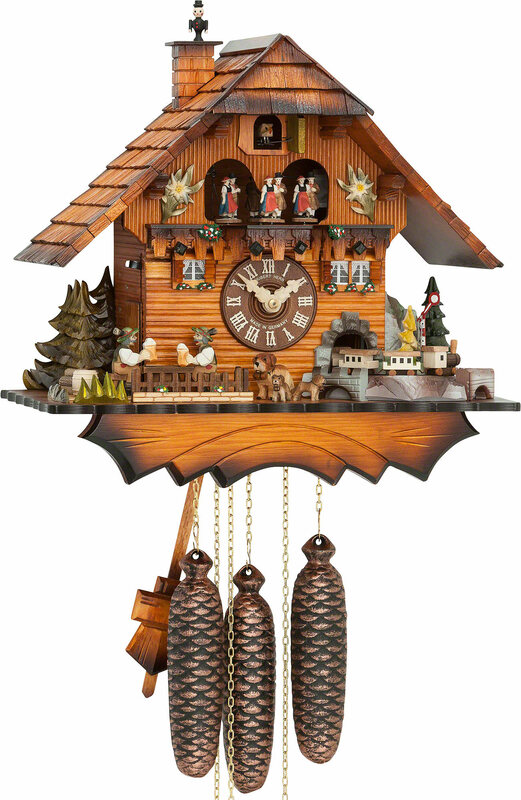 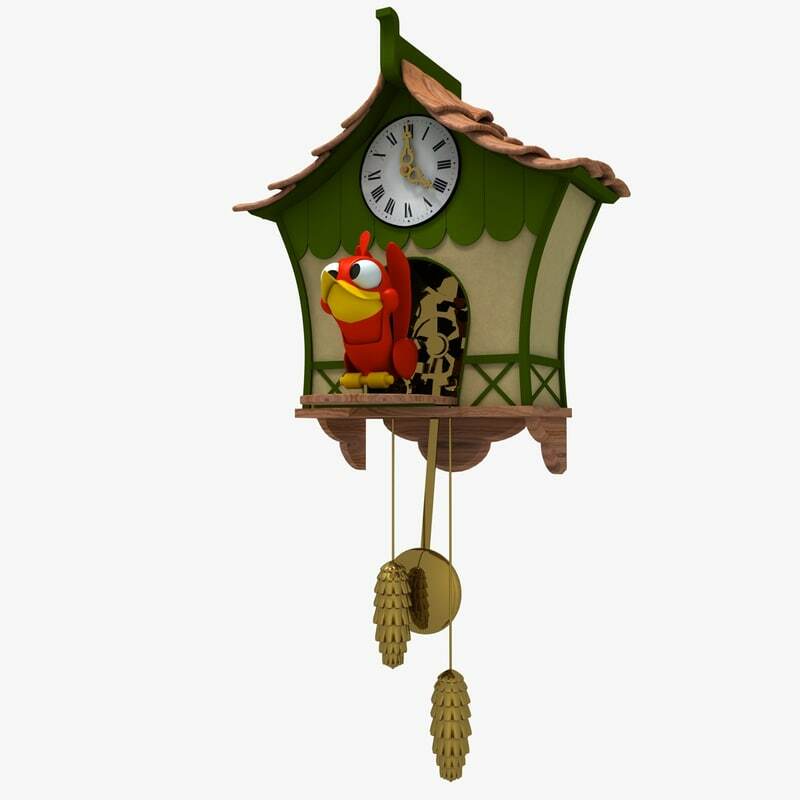 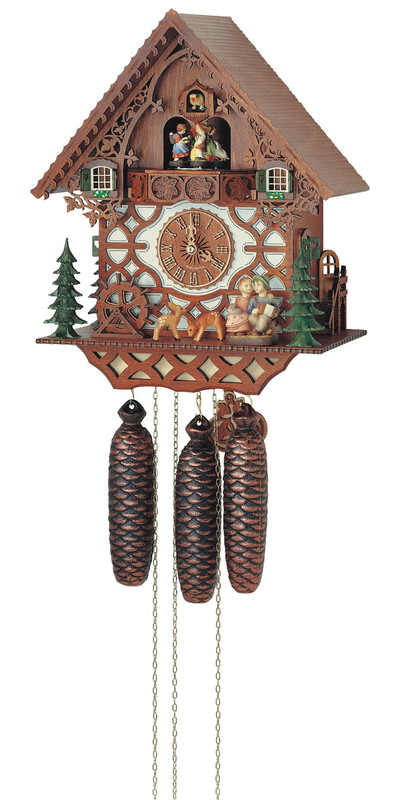 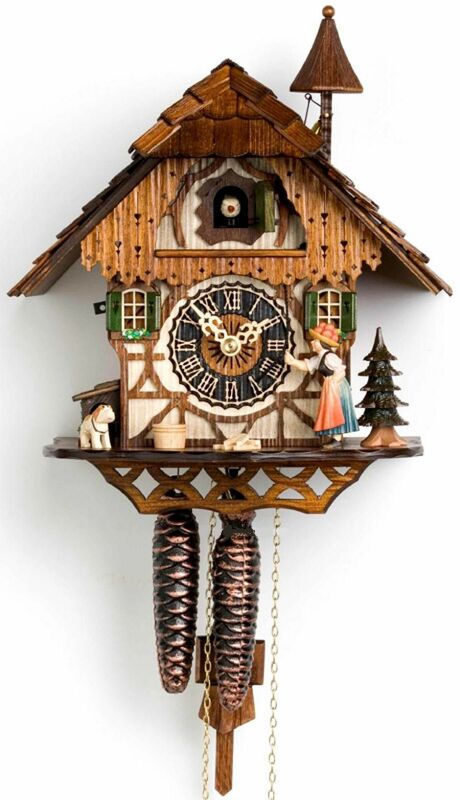 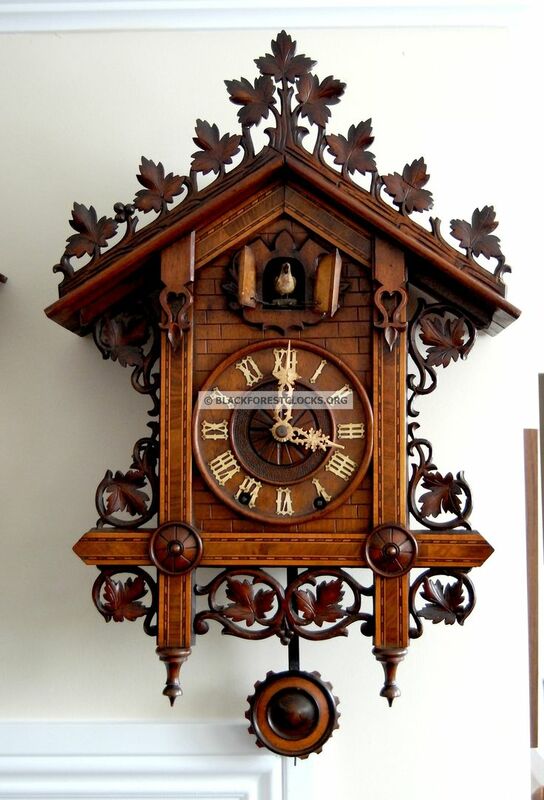 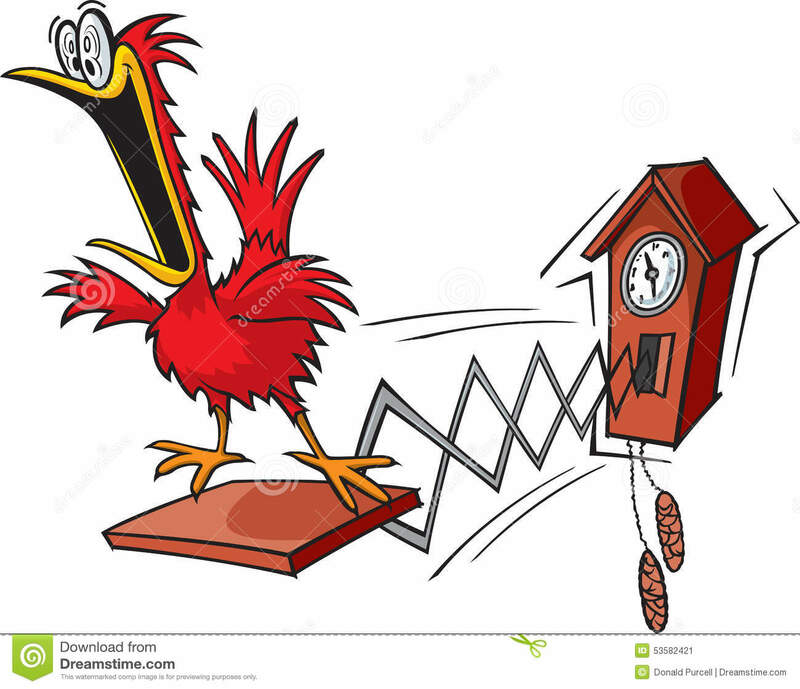 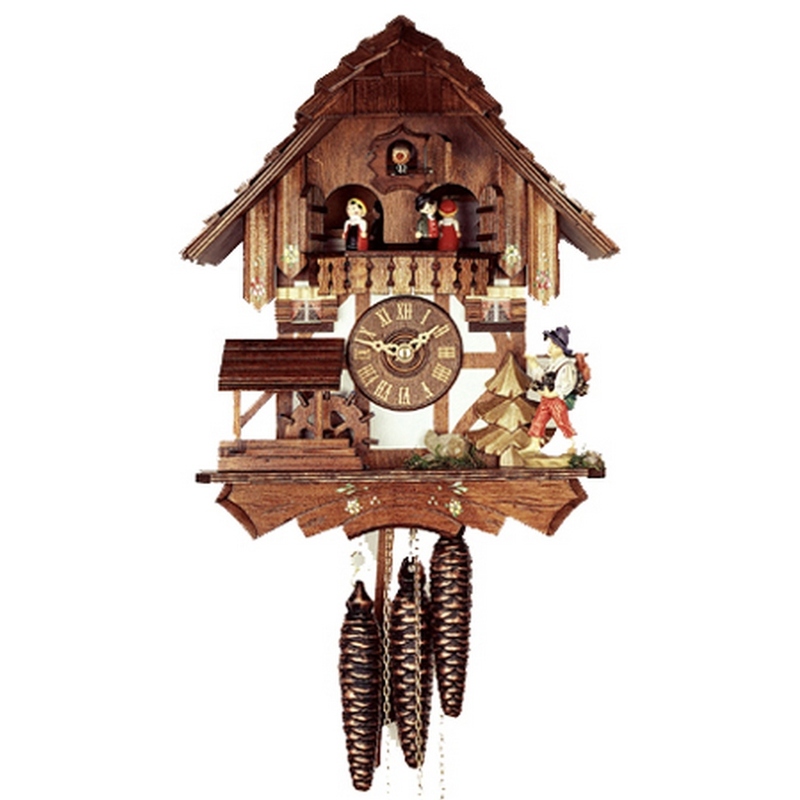 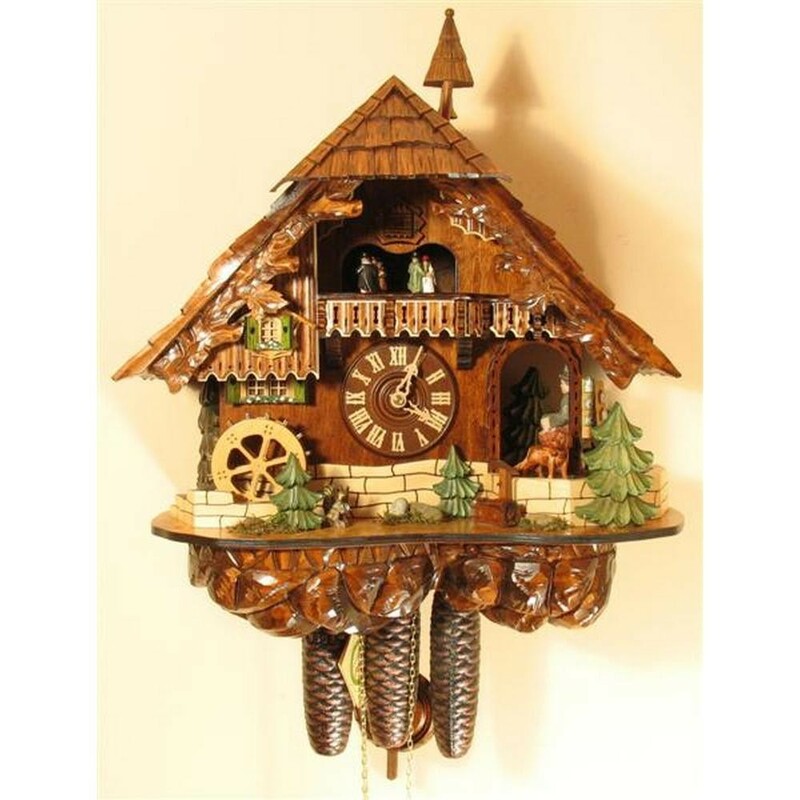 A cuckoo clock is a typically pendulum-regulated clock that strikes the hours with a sound like a common cuckoo's call and has an automated cuckoo bird that moves with each note. 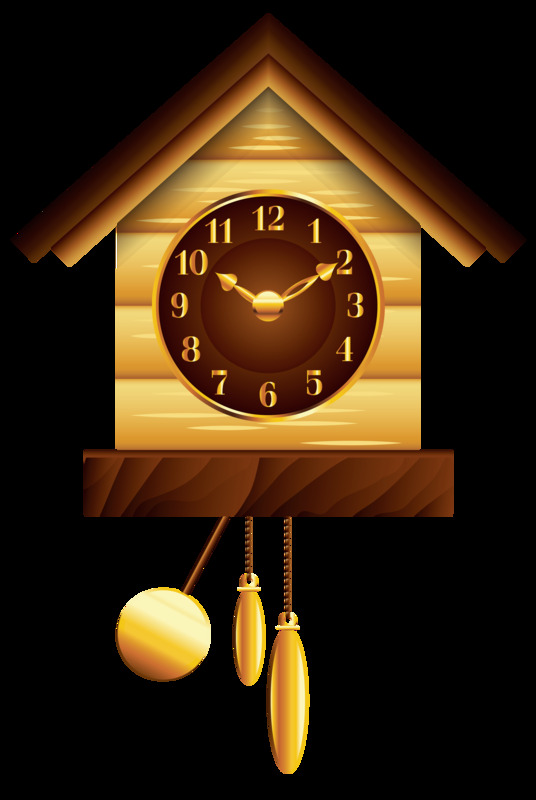 Some move their wings and open/close their beaks while leaning forward, whereas in others, only the bird's body leans forward. 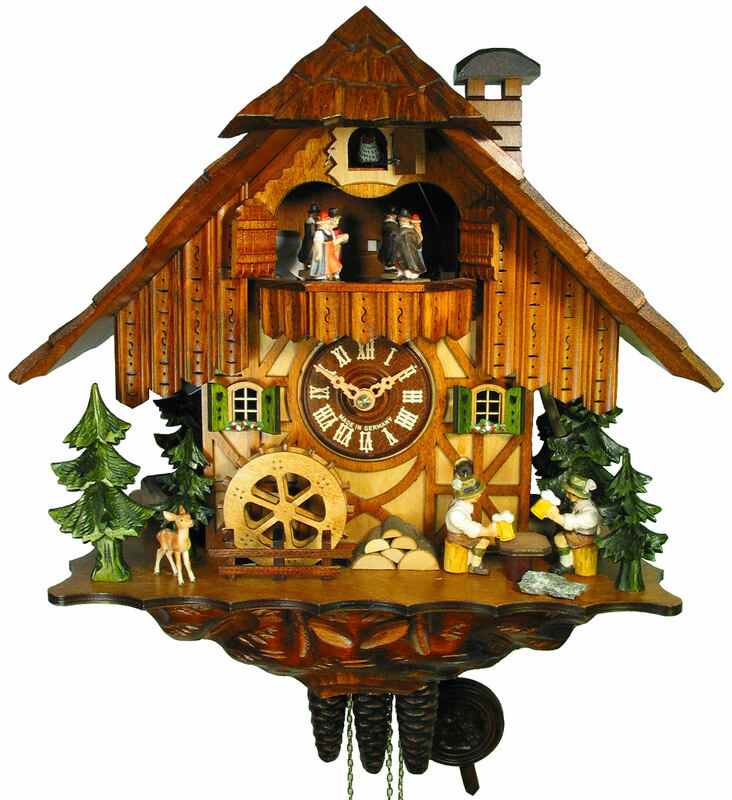 The mechanism to produce the cuckoo call has been in use since the middle of the 18th century and has remained almost without variation until the present.